The Muppets are in trouble and face losing their studios as well as the rights to thier own names. Gary, played by Jason Segel, and his brother Walter go on a quest to save The Muppets from going out of business. The film is packed full of comedy, songs and special cameo appearences that really make this film a very enjoyable watch. The story has a simple narrative to it but then it is a film made for all ages. Its not like you dont know what will happen at the end of the film but the cameos really add to that “oh wow thats so and so…” The best part of the film is the duet between Gary and Walter singing ‘Man or Muppet’. The song itself was made by Bret McKenzie of Flight of the Conchords fame and if you are a fan of the show you would realise it straight away. The song and Bret also won the Oscar for Original Song. Whether you are a fan of The Muppet or not i recommend this film to everyone of all ages. Fans of previous Muppets films or The Muppet Show itself will love reliving watching Kermit and friends doing thier stuff again. New watchers will love all the cameos that appear in the film and the up to date feel to it. Go see this film. 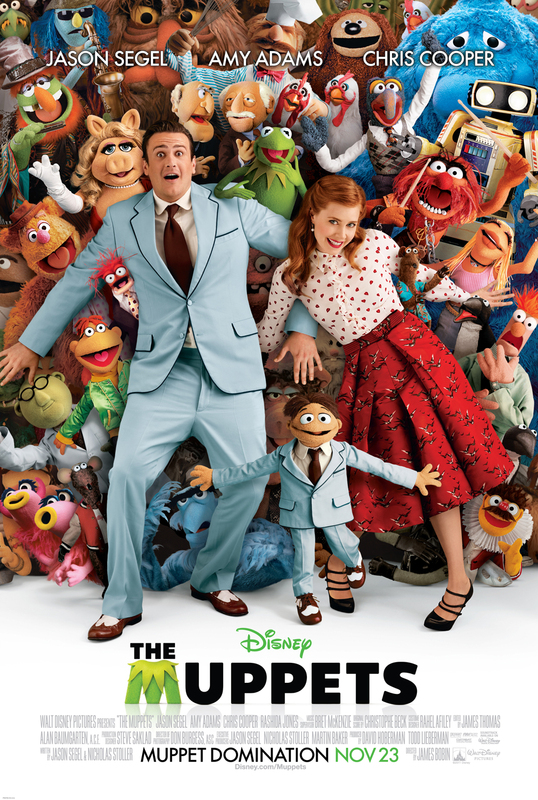 After finishing the movie, the filmmakers gave Jason Segel the Muppet version of himself to keep.